Education vs experience: what comes first when hiring Java developers? Home Developer Blog Education vs experience: what’s more important when hiring Java developers? 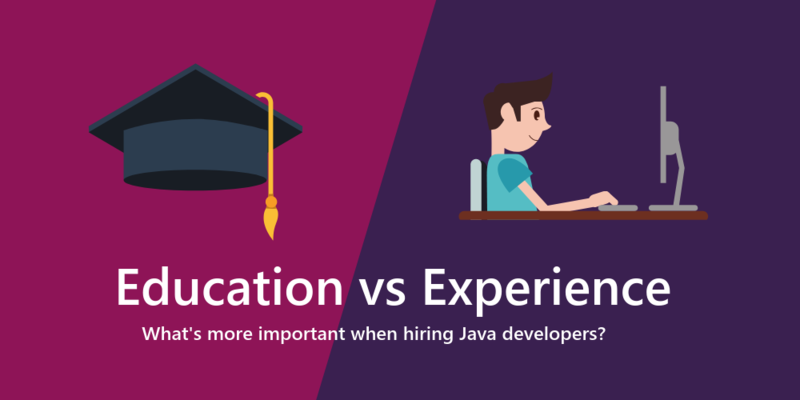 Education vs experience: what’s more important when hiring Java developers? Hiring a Java developer with relevant expertise can be tricky. Traditionally developers who held university degrees topped the list for businesses, but now self-taught developers are on the rise. High profile organisations including Google previously required all candidates to hold a degree. But times have changed in software development; self-taught developers are a large part of the candidate pool, and are now so valued in the sector that Google have changed their hiring policy to ensure they’re not losing out on great development talent. Hiring managers have opened themselves up to this new wave of developers, relying on portfolios showcasing their technical prowess as much as degrees. The rise of these autodidactic devs is now forcing businesses to ask themselves which is a more important consideration when hiring Java developers; education or experience? Should I hire a software developer without a degree? No simple answer covers every business. 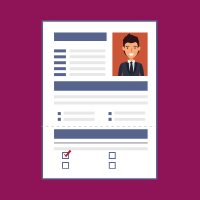 Both sides of the argument offer valid points; each hiring scenario is different, and each candidate should be assessed on their individual merits as to whether they meet the specification you’ve put together for your role. Changes across the entire IT sector are forcing hiring managers to bring in new staff to future-proof their business. Advances in technology come along so quickly; educational institutions often struggle to keep pace, which means the skills needed for cutting-edge tech roles can’t always be developed through traditional academic means alone. That isn’t to say your business shouldn’t value the knowledge developers pick up when obtaining a degree. But during this new era of software development, it’s time for hiring managers to change their ideas, and take candidates who’ve tread a different path into account. Our recent salary survey found that 85% of developers described themselves self-taught, and used less formal methods including online courses to hone their Java skills. Even if you land a highly skilled Java developer, the learning process shouldn’t stop once they’ve signed on the dotted line. Degree or no degree, you should encourage further learning and offer regular training opportunities for your development team to upskill. According to the aforementioned report, 82% of respondents stated they continued to develop their skills through online courses. Alex Laing, CEO of Leasefetcher, is an advocate of assessing a developer’s skills first and foremost, whichever way they acquired them. “A degree gives developers a three-or-four-year window in which to access excellent resources, learn skills and develop their all-around development game,” says Alex. Hiring a Java developer with the right combination of theoretical knowledge and practical experience should be your top priority when expanding your development team. 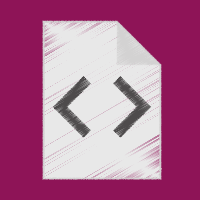 Developers who’ve recently graduated from university may be able to demonstrate theoretical knowledge about code, but not having a portfolio showing their past work can be a red flag for your business. While a degree isn’t always a significant factor, Jon Ostler, CEO of Finder, says it can offer insight into a developers ability. “As an employer, it’s easier to assess a candidate if they went to a good university and achieved a high grade in computer science, as it ticks off the programming concepts and discipline requirements,” says Jon. 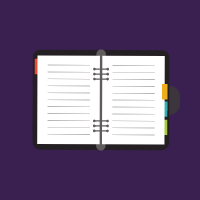 If you don’t have an on-paper representation of your candidate’s skillsets, you can use other methods to test developers experience including onsite practical tests and using technical interviewers. So while a degree does offer a good starting point, developers who’ve gained experience working with a reputable company or have a burgeoning portfolio of apps and hobby projects could be a more beneficial hire. But after you’ve hired a developer, remember the learning process shouldn’t stop there. Finding someone willing to build on the skills they already have or pick up new languages can be just as valuable for your business. While academic qualifications are still held in high regard, new, non-traditional paths into the development sector and the wide range of learning options available have opened up fresh avenues for you to recruit to top developer talent. More and more programmers choose to avoid the expense of university education, so they’ll choose to learn at their own pace and showcase their skills through the like of GitHub to attract the attention of employers. Non-traditional courses are becoming increasingly popular benchmarks for businesses looking to add to their development team, with Audrey Limey, Managing Director of LY Corp stating that developers can now obtain the skills that were once taught at university on their own terms. But if you’re looking for a developer with specific experience, finding these people can be more tricky than a fresh-faced graduate or someone migrating to the sector for the first time. Normally already in a role, you’ll have your work cut out to entice these developers from their current position. There is also the opportunity for your business to hire a new developer through tech academies, where a developer is taught all the skills required to work with a particular piece of software and made ready for the workplace, meaning they’ll have the capability to hit the ground running should they be given a role. The ever-growing skills gap in the IT sector is forcing many firms to look for alternative routes to hire new developers. Training through online courses is a popular method for already trained to developers to hone their skills and introduce new techniques to help them move up the career ladder and become a more attractive hiring prospect. But as there are so many personal development opportunities available for people to improve their skill level, this could be the perfect chance for your business to go down a different path and upskill members of your current workforce. These could be staff who already work in IT and are simply looking for a new challenge, or they could be non-technical members of your business aiming to gain the skills to become a developer and move up the career ladder. Offering in-house training can be the first step towards improving the skill level of your team by either bringing in an external training company, putting together your own training materials, or if you have the funds, send them on a course. The evolution of the IT sector continuously allows developers of every skill level to upgrade their expertise and bring something new to the development floor. When searching for a new developer, your first task should be to look through their CV to find out whether they have the right skills and how up to date what they’ve listed is. It’s all well and good listing Java as a key skill, but if they can’t use the latest version of the programming language or the right framework, it can lead to disaster. New developers breaking into the sector may have chosen to pick up the latest technology to help them seem more attractable to employers looking to introduce new software or a new programming language. Often these new developers may be straight out of academic education where they’ve picked up all theoretical knowledge of a framework, but not the expertise to take your business to the next level. This is where you could consider a developer with more experience, who has specialised in a particular programming language, has the practical know-how to back up this expertise and the drive to learn all the new elements associated with it when they become available. The software industry is full of burgeoning talent and is full of opportunity for any developers willing to learn new skills. If a developer lacks university education but shows enthusiasm and willingness to adapt to suit your needs, they could be the perfect addition to your team—even if they don’t match every single requirement in your job advert. Finding a Java developer who’s keen and adaptable could be much more valuable than someone who ticks all the boxes; the importance of hiring for culture and choosing someone who shares your company vision and values can’t be understated. 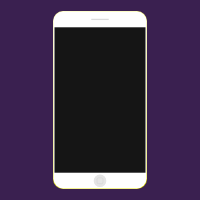 During an academic education, many developers will learn and use the most common development tools to successfully create projects, but if they’ve taken the time to learn a programming language a little of the beaten track, such as Groovy or mobile languages like Swift or Go, they could be a keeper. Most developers, regardless of their previous experience, will be happy to increase their new skillset, take certifications and learn the latest tech, so expanding your view of the Java marketplace can help you find top hidden talent for your business. Whether the current members of your team or your new recruits have a university degree, continuing their education while in a role is a vital part of self-development and personal growth. Nurturing every member of your development should be part of your business plan to increase productivity, and implement the newest technology to remain ahead of your competitors. Selecting the right courses and certifications for your team can often come down to the direction you wish to take a project, and there are a number that you can encourage your team to undertake, even if they already have a degree. If you’re a little unsure of which certifications can help your business, we’ve listed some of the top qualifications that can help your team grow. A highly functional language already popular across many industries use percentage, certifying your team in Java can open up a number of development routes. Oracle, of course, offers the most recognisable certification, and we’ve brought together all the information you’ll need in this handy Java certification guide, which highlights the key modules you’ll learn in each course, the cost, and the examination details. Supporting your developers on their path to becoming skilled in PHP can assist during your digital transformation. There are a number of PHP certifications available in the accompanying frameworks, including Laravel and Symfony, but it’s Zend that’s most favoured by developers. Often used as a benchmark to identify top industry talent, each available certification gives your teams the chance to learn each PHP framework from scratch, for those already proficient in the language, it enables them to learn added tips and tricks. When finding a developer to suit your business needs, recruitment techniques now show a degree isn’t always a requirement when sifting through the CV of potential candidates, with experience now becoming an equally prized asset. Want to find the best Java developer for your business? 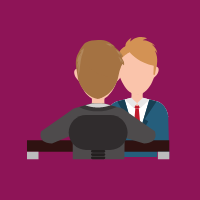 Take a look at our candidate search portal to discover your next hire.